"As we discuss cyber security with users of automation, we find that many are aware of the threat potential but are not sure if they are doing enough to protect themselves. We saw the need for a technical paper that explains both the mindset and motives of an attacker, as well as the tools and technologies of defense. This paper defines the issues in a practical, holistic way while providing recommendations on how to begin and sustain best practices for cyber defense," said Albert Rooyakkers, Bedrock founder and CEO. The first half of the paper covers conventional cyber security practices that apply to all industrial control systems. It provides an assessment of the threats, including drive-by attacks, advanced persistent threats (APTs), espionage, process attacks, and ransomware. It also looks at assessing the related risks, with an introduction to Process Hazards Analysis (PHA) and Hazards and Operability (HAZOP) methodologies used to identify malfunctions that might harm people, the process, or the environment. To assist with risk assessment, the paper provides an overview of conventional protection practices. This includes network segmentation, firewalls, and DMZs; managing workstations, servers, end-users, and applications; and implementing active defense measures, including security event monitoring and management. The second part of the paper is devoted to more recent techniques, based on the application of intrinsic cyber security advances that have been applied in military, aerospace, and ecommerce, and are now being used to protect industrial control systems. These create a hardware end-point root of trust that combines advanced cryptography, digital signing techniques, an industrial certificate authority, and public key infrastructure (PKIs) built into the control system to create an infrastructure for user defense. The paper also presents the features of the Bedrock Open Secure Automation platform, which embraces the best practices discussed and details the process by which they can be applied to legacy and new systems. 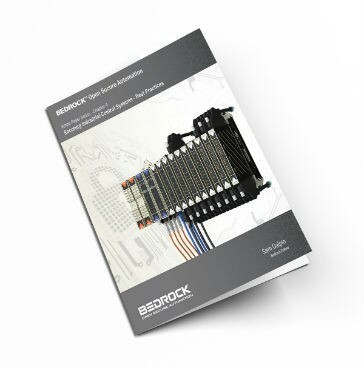 Visit http://www.bedrockautomation.c... to download the new white paper, Chapter 4 - Securing Industrial Control Systems - Best Practices, or preceding chapters in the series. The control room is the brain of pipeline operations; it serves as the command center for decisions both inside and out in the field. The brain thinks clearly and strategically when it is used to its full potential; when overwhelmed with information, it causes stress and lack of direction. The same is true for pipeline control rooms and operators.